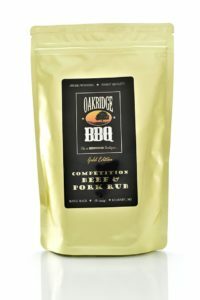 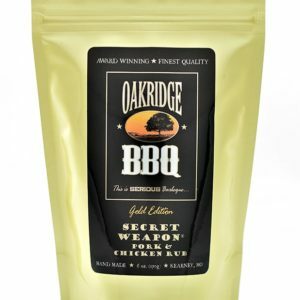 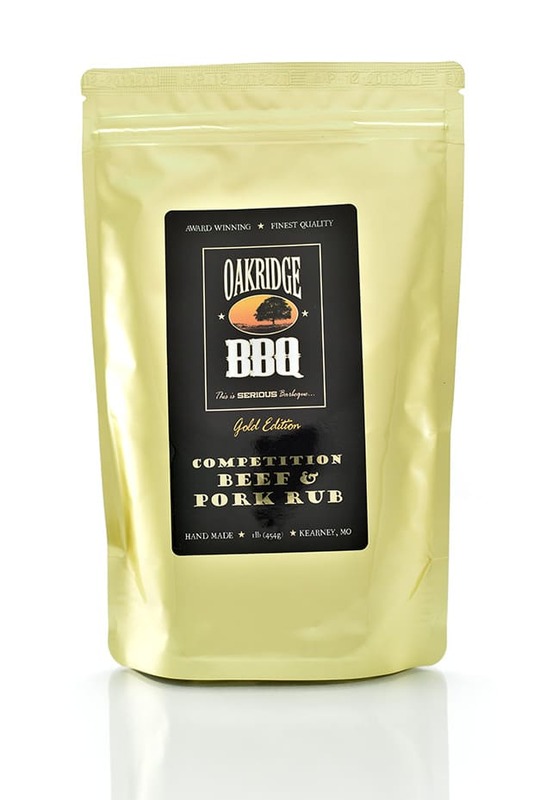 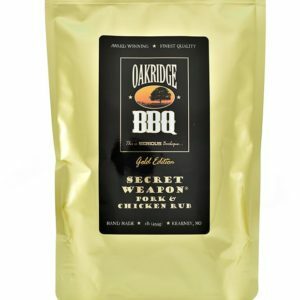 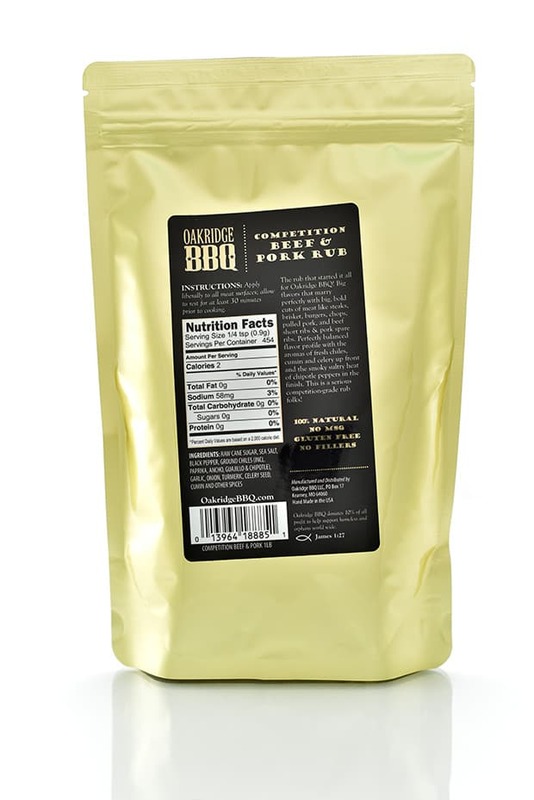 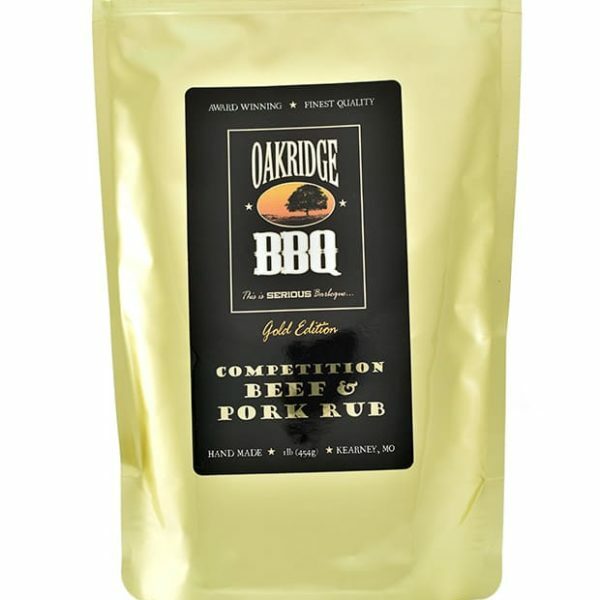 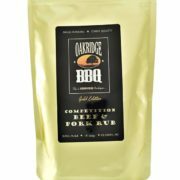 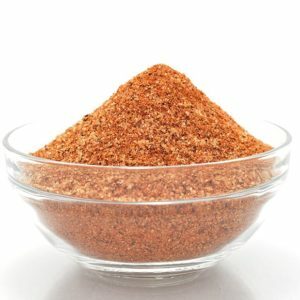 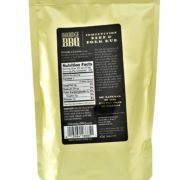 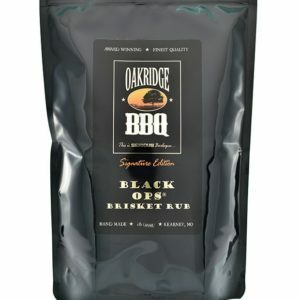 The original, Competition Beef & Pork rub. 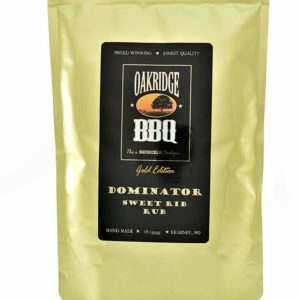 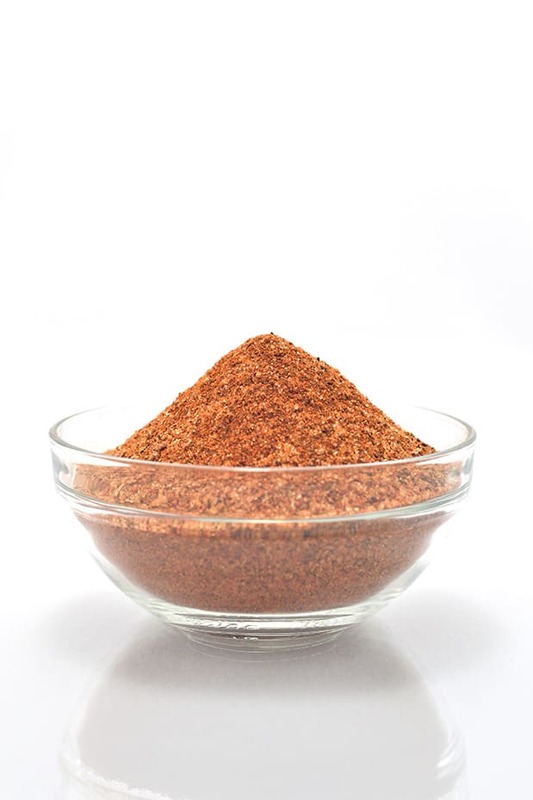 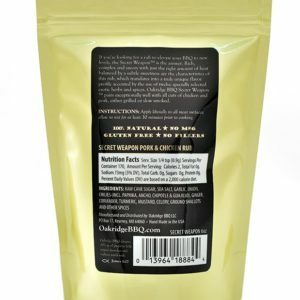 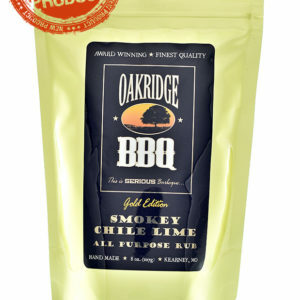 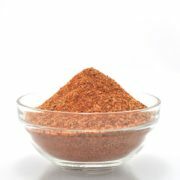 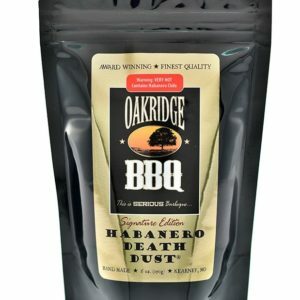 Bold and flavorful are the hallmarks of this All Natural signature rub. 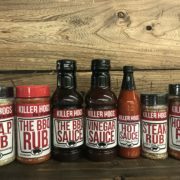 Big flavors that marry perfectly with big, bold cuts of meat like ribeyes, porterhouses, strip loins, beef brisket, burgers, chops, duck, pulled pork and pork spareribs. 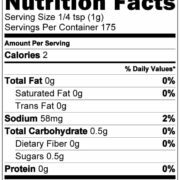 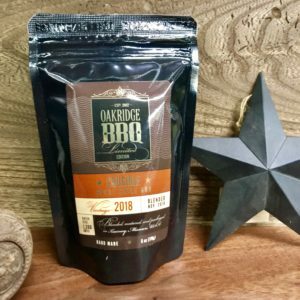 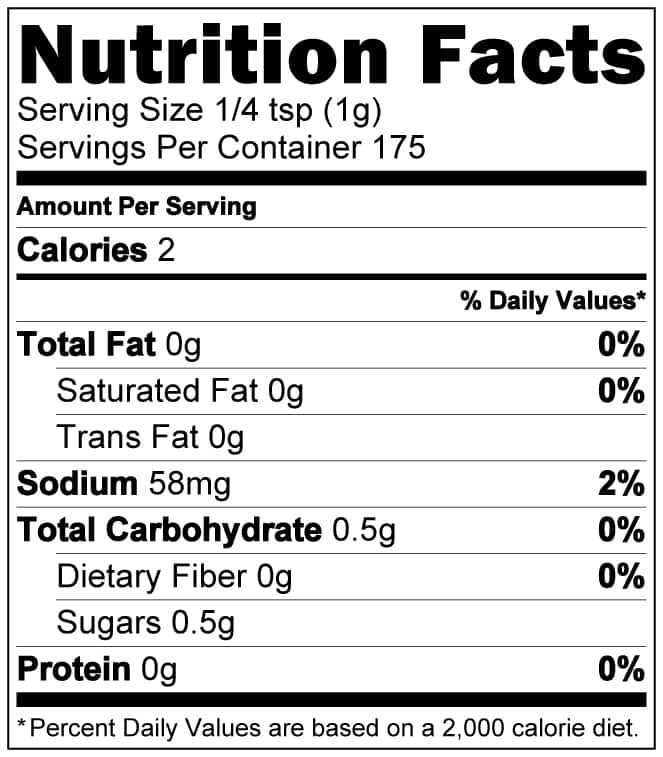 Perfectly balanced sweet/heat/savory/salty flavor profile with the bold aromas of chilies, cumin and celery in the front with the smoky sultry heat of chipotle peppers in the finish. 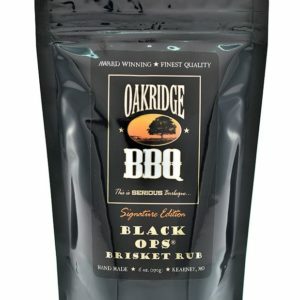 This is a serious competition-grade rub folks!